(Newser) – With $41 billion pumped into startups by venture capitalists last year alone, some experts argue that big-money failures are "inevitable." But Jawbone's recent collapse is so monumental that only the Solyndra bankruptcy of 2011 tops it, reports Reuters. And some argue that all the money pumped into it led to its overvaluation and ultimate demise. 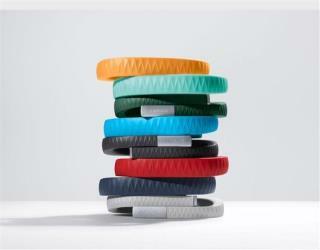 The consumer electronics company that took on health-tracking wearables like Fitbit was fed so much money by top-tier VC companies—to the tune of $900 million—that it was valued at $3.2 billion in 2014, but its fitness tracker never found a big enough audience, and Jawbone began liquidating proceedings in June. I searched the world over and still, not found you! Me powerwaves to bring all good things to me seems to be lacking some? The BBB is a scam. You have to pay for good ratings. I'm sure the founders had a nice time. Fat salaries and junkets to resorts. Scum up the money and bail. Talked to a lawyer about a patent app. and marketing. Sell the product before it even exists, he told me. Here I am used to having a good product THEN marketing it. Silly fox! !